Today is the Fourth of July, and you know what that means – fireworks, barbeques, swimming, outdoor activities, and lots of patriotic fun. There’s no better day to get together with friends and family to enjoy the sights, scents, and sounds of this beloved holiday. However, for allergy sufferers days like today can raise a lot of red flags, and a day of fun can quickly turn sour. Luckily, with the proper foresight and knowing how to handle your Fourth of July allergies, everyone can enjoy this red, white, and blue holiday to the fullest. While today is a day of fun festivities, for people who suffer from asthma and allergies understanding and knowing how to handle their allergy triggers can make all the difference. 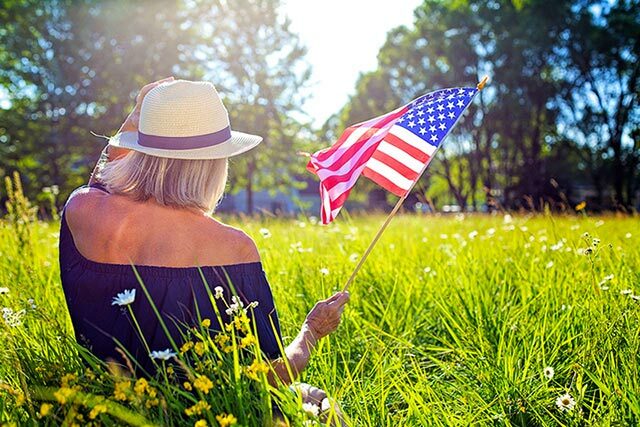 At the NY Sinus Center, we want everyone to have a safe and enjoyable holiday, so if you don’t want Fourth of July allergies raining on your parade, learn more about some of the common July Fourth asthma and allergy triggers. Before you head outside, make sure you check the pollen and mold counts first. Keeping up-to-date on the allergy forecast can help prepare you for the day. Use this forecast as a guide so you can adjust your activity level according to the severity of your allergies. Allergy medication works best if you take it ahead of time, not when your symptoms start. So be proactive, and take your choice of allergy medication before you go outside as this is your best line of defense. Make sure you take them an hour or two before exposure and continue taking throughout the day until you are no longer exposed to your triggers. If you have any food allergies, watch out, especially if you have severe, life-threatening allergies. Eating the wrong item can quickly turn your day from good to bad in a heartbeat, so if your allergies are severe considering bringing your own food. Otherwise, make sure you thoroughly investigate what went into another person’s prepared food and that you bring along an epinephrine autoinjector, just in case. When there’s smoke, there’s fire, especially if you’re sensitive and this combination does not mix. Smoke from fireworks, the barbecue, and even a campfire can set off allergies, and even asthma symptoms. If you can, keep your distance, and if you can’t, sit upwind if possible. If you can’t bear to miss the fireworks, you should consider wearing a NIOSH N95 rated filter mask, and always carry your inhaler on you. During the summer, the insects come out in full force and depending on where you live the bug problem can become overwhelming. If you have an allergy to insect bites and stings, make sure you wear bug spray and have your EpiPen on you as a precaution. If you are allergic to any flying insect, make sure you don’t wear any fragrances that may attract them, and don’t wear bright, floral colors. Otherwise, you may look like a flower or plant, so leave your bright, floral patterned clothes behind. Don’t Be Allergic to Valentine’s Day!